New! 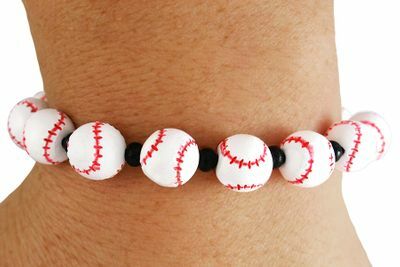 Fully Detailed Baseball Stretch Bracelet. Each Baseball On This Bracelet Has Detailed Painted Stitching Which Gives It A Real Authentic Baseball Look! Fabulous Fund-Raiser For School Baseball Team!